And it looks to have been created in record time - it showed up on August 20th in his blog "Super-Team Family: The Lost Issues", just two days after the sad passing of Yvonne Craig, Toobworld's Batgirl. 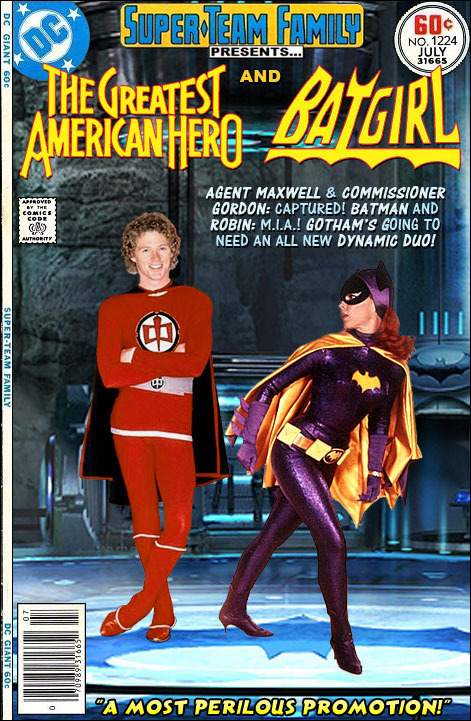 The pilot episode for 'The Greatest American Hero' debuted in March of 1981. Batgirl was seen on our television sets beginning in September of 1967, but there really isn't any timeline discrepancy in this cover. Fourteen years isn't that long a time to have passed and I think the pert and loverly Barbara Gordon could still have looked as young in 1981 as she did back in 1967. And the fact that she was using a long-tressed red-haired wig would have helped with any illusion needed. In the past we honored Russell T. Davies, the man responsible for reviving this science fiction colossus. I take the blame for not honoring this man first. Sydney Cecil Newman, OC (April 1, 1917 – October 30, 1997) was a Canadian film and television producer, who played a pioneering role in British television drama from the late 1950s to the late 1960s. After his return to Canada in 1970, Newman was appointed Acting Director of the Broadcast Programs Branch for the Canadian Radio and Television Commission (CRTC) and then head of the National Film Board of Canada (NFB). He also occupied senior positions at the Canadian Film Development Corporation, Canadian Broadcasting Corporation and acted as an advisor to the Secretary of State for Canada. During his time in Britain in the 1950s and 60s, he worked first with the Associated British Corporation, or ABC (now Thames Television), before moving across to the BBC in 1962, holding the role of Head of Drama with both organisations. 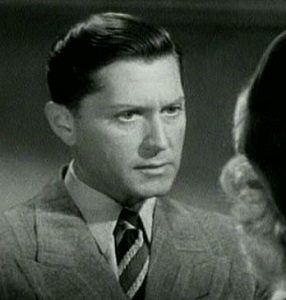 During this phase of his career, he was responsible for initiating two hugely popular television programmes, the spy-fi series 'The Avengers' and the science-fiction series 'Doctor Who', as well as overseeing the production of groundbreaking social realist drama series such as 'Armchair Theatre' and 'The Wednesday Play'. The website of the Museum of Broadcast Communications describes Newman as "the most significant agent in the development of British television drama." 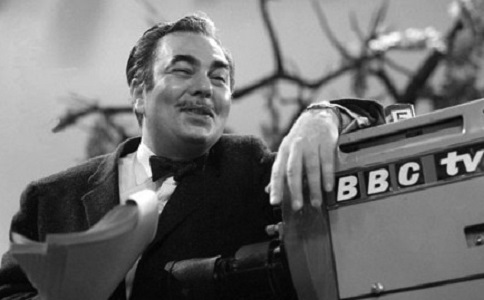 Shortly after his death, his obituary in The Guardian newspaper declared that "For ten brief but glorious years, Sydney Newman ... was the most important impresario in Britain ... His death marks not just the end of an era but the laying to rest of a whole philosophy of popular art." "[U]p to the age of 40, I don't think there was a science-fiction book I hadn't read. I love them because they're a marvellous way--and a safe way, I might add--of saying nasty things about our own society." When Controller of BBC Television Donald Baverstock alerted Newman of the need for a programme to bridge the gap between the sports showcase 'Grandstand' and pop music programme 'Juke Box Jury' on Saturday evenings, he decided that a science-fiction drama would be the perfect vehicle for filling the gap and gaining a family audience. Although much work on the genesis of the series was done by Donald Wilson, C. E. Webber and others, it was Newman who created the idea of a time machine larger on the inside than the out and the character of the mysterious "Doctor," both of which remain at the heart of the programme. He is also believed to have come up with the title 'Doctor Who', although actor and director Hugh David later credited this to his friend Rex Tucker, the initial "caretaker producer" of the programme. 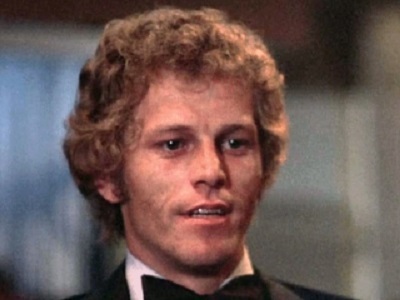 After the series had been conceived, Newman initially approached Don Taylor and then Shaun Sutton to produce it, although both declined. He then decided on his former production assistant at ABC, Verity Lambert, who had never produced, written or directed, but she readily accepted his offer. As Lambert became the youngest—and only female—drama producer at the BBC, there were some doubts as to Newman's choice, but she became a success in the role. Even Newman clashed with her on occasion, however, particularly over the inclusion of the alien Dalek creatures on the programme. Newman had not wanted any "bug-eyed monsters" in the show, but he was placated when the creatures became a great success. Later in the show's run, in 1966 he took a more hands-on role again in the changeover between the First and Second Doctors. In the 2007 'Doctor Who' episode "Human Nature", the Doctor (in human form as "John Smith") refers to his parents Sydney and Verity, a tribute to both Newman and Lambert. Verity Newman, a character in the 2010 episode "The End of Time", is also named after them. 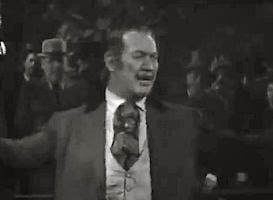 A similar acknowledgement had appeared in the show's original run: in "The Powerful Enemy," the first episode of the 1965 story "The Rescue", in order to hide the fact that one character is actually another character in disguise, the role is credited to the non-existent actor "Sydney Wilson," an amalgam of the names of Sydney Newman and Donald Wilson. For the fiftieth anniversary of 'Doctor Who' in 2013, BBC television commissioned a dramatisation of the events surrounding the creation of the series, entitled "An Adventure in Space and Time" and written by Mark Gatiss. 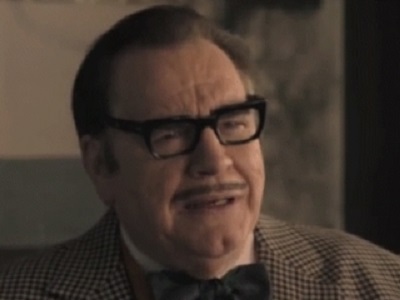 Newman was portrayed by Brian Cox. And so Newman is one of the few creators honored with the September induction into the TVXOHOF who was also portrayed in one of the alternate Toobworlds, in this case Docu-Toobworld. 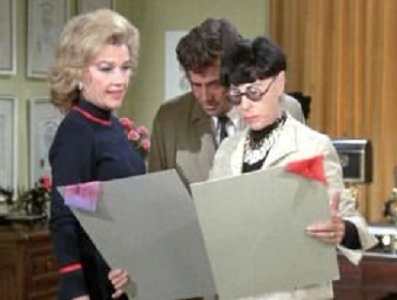 "Requiem For A Falling Star"
To no avail, the Oscar-winning costume designer tried to upgrade Lt. Columbo's look. But even the tie was a no-go. The above three were all poker-playing buddies of Columbo's prime suspect who were able to vouch for him. Of them all, Credel's televersion is different from his life in the Trueniverse. 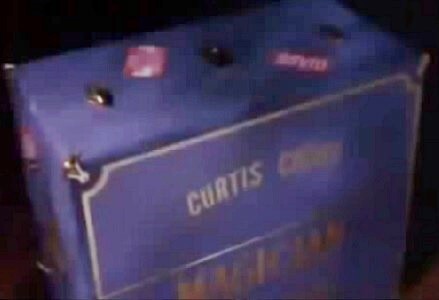 He was an actor but now is retired in Florida where he runs a used car company, but in this episode he was working as a cruise ship magician. 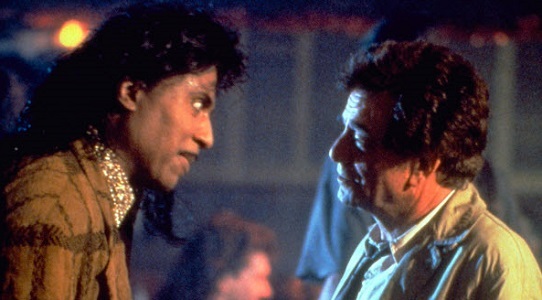 "Columbo And The Murder Of A Rock Star"
It was this last entry that made me realize Little Richard deserves to be inducted into the Television Crossover Hall of Fame. It was my brother AJ that spurred me into looking into his credentials for membership and I was amazed how many shows he can link together by appearing as his own televersion. So look for him to be our February 2016 candidate, whether or not I dedicate the entire year to the League of Themselves. Last year I wrote about the "real" events in Toobworld which inspired the movie "Casablanca". The IMF team tempts an art lover, who stole a secret missile fuel formula, to return the formula in exchange for a one of a kind art object. But he declines. 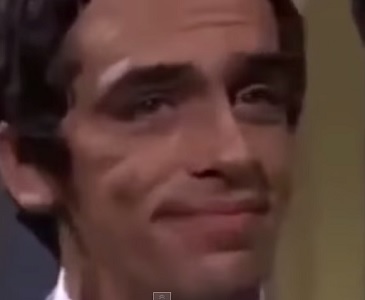 So Jim begins a complex deception to convince his partner he has been double crossed. But the formula is still locked in a safe rigged to explode when enemy agents arrive. That art-loving thief was named Victor Laszlo, and yes of course we damned well have a theory of relateeveety for him! This Victor Laszlo is the nephew to the famous freedom fighter during World War II. He's too old to be the son of Victor and Ilsa Laszlo, but just the right age to have been the son of Victor's heretofore unknown older brother and named in honor of his uncle. I’m being skeptical because this may yet be a case of “The Boy Who Cried FOX” – several years ago it was announced that ‘Bones’ would cross over with ‘Lie To Me’ which starred Tim Roth as an expert in reading people for the Truth. But that never came about. Burn me once…..
‘Sleepy Hollow’ does share a dimension with one other show with a similar premise, in which the main characters are adapted from BookWorld but who operate in a TV dimension centuries beyond when the original stories took place. And it’s a world where those original books are not acknowledged. That other show? ‘Elementary’. But there’s nothing to say that this “Lit-Less” Toobworld can’t still have their own version of characters from the main Toobworld. But definitely the world of ‘Bones’, Earth Prime-Time can’t support a modern day Ichabod Crane. We’ve seen this situation happen in the past. Perhaps the most recent occurrence was when the reboot of ‘Hawaii Five-0’ crossed over with ‘NCIS: LA’. Just for that one plotline, we were watching the counterparts to G. Callan and Sam Hanna from the Land O’ Remakes rather than the usual suspects of Toobworld One. So I’m not too excited by this; it doesn’t help explore the main TV Universe at all. But I will be recording it and watching it. You can bet on that! ‘Bones’ and ‘Sleepy Hollow’ will return October 1, but it looks like this crossover won’t be on the schedule until later in the 2015-16 season. I would expect it for the February Sweeps. THEORIES OF RELATEEVEETY: WHEN MAJOR SETH ADAMS MET... MARY RICHARDS? In 1859, Major Seth Adams was trying to build his reputation as a manager for prize-fighters in New York City when he first met Constable Dan Hogan of the City's police force. Dan took up the challenge to fight Adams' fighter known as "The Tinsmith", putting down his own money in a bet with Adams at 4 to 1 odds against him. Constable Hogan went on to win the fight (more or less easily) and reaped $2500 for his efforts, which led to Seth Adams retirement from the prize-fighting business and squashed his plans to become a showman. With this money he was able to provide a secure future for himself and the woman he loved - Mary Richards, the daughter of John Richards, the NYC Police Commissioner. They got married and then headed west, eventually buying a ranch just outside the town of Sweet Sabbath. Jenny's daughter married a man with the same last name as her grandmother's - Richards. In 1912, Mrs. Richards gave birth to a son whom they named Walter Reed Richards. Walter Reed Richards was probably named in honor of Dr. Walter Reed, the US Army physician who had died ten years previously. Just the year before, in 1901, Dr. Richards and his team proved that a certain species of mosquito was the carrier for yellow fever. The timing was beneficial for Mary Hogan's grand-daughter as the man she would one day marry had been suffering from yellow fever while working on the Panama Canal. Thanks to the work done by Dr. Richards, a cure was administered which saved his life and he headed home to Minnesota where he would meet the young woman who would eventually become his wife. When Dr. Richards and his wife Dorothy (aka "Dottie") had their daughter, it was Walt's mother who suggested that the baby be named after her own grandmother, Mary Richards Hogan, to bring that name back to life in their family tree. And that's how a TV Western couple is related to the former news producer of WJM-TV. VIDEO WEEKEND: "WAGON TRAIN" - "THE DAN HOGAN STORY"
And that brings to an end this year's annual TV Western Showcase in August. And to have it end with a theory of relateeveety linking to one of my five favorite TV shows? Couldn't ask for a better send-off! Originally, I had the entire 'Wagon Train' episode "The Dan Hogan Story" slated to run today to cap off this year's salute to the TV Western. But the story should have run back in August of 2014.... However, the death of James Garner that year meant a change in plans. August 2014 became a showcase salute to Mr. Garner and his many co-stars in the movie version of 'Maverick'. And that meant all those previously crafted posts had to be pushed forward to 2015. In a growing town, Seth meets a friend from his distant past. He remembers how they met and the circumstances bringing them west. When his friend's home is threatened, not ever wearing a gun surprisingly helps him rather than the reverse. When the train arrives in a small but wild town Adams finds an old friend Dan Hogan. Dan is a great boxer but refuses to wear a gun. He was a constable in New York City who has come west with his wife and family. Hs friend Cliff is in debt to Jason Rance who wants Cliff's cattle herd. The local Marshal wants Dan to be a deputy as he thinks he can control the town and Rance. Dan declines but when he takes a stand against Rance for Cliff, he finds himself facing Rance or leaving town. 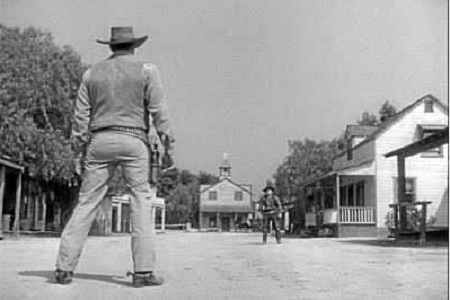 His wife convinces him to leave town much to the chagrin of Adams and the citizens of the town. Dan is at peace with his decision until he learns Cliff has been killed. For me, the special interest of the story was that Rachel Ames played Mary Hogan, Dan's wife. 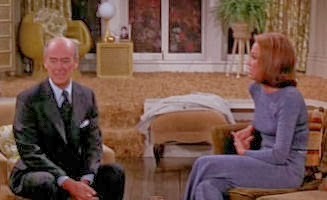 In a flashback sequence we learned that her maiden name was Mary Richards. I see nothing that would hinder the theory of relateeveety suggestion that she had at least one brother whose grandson (Dr. Walter Reed Richards) would have named his daughter after his great aunt. And therefore? A hypothetical connection between 'Wagon Train' and 'The Mary Tyler Moore Show'. 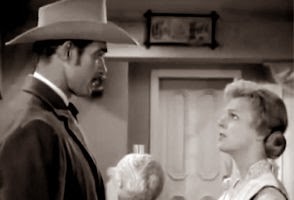 Major Seth Adams, played by Ward Bond, is introduced to Miss Mary Richards and addresses her as such. A few minutes later he says goodbye to Miss Richardson. I don't see this as a mistake in the production of the episode. Within the reality of the TV Universe, this was an example of Major Seth Adams' bad memory. After all, he had only just met the woman! It was a simple mistake to make. Tomorrow I'll delineate the lineage that links 'Wagon Train' and 'The Mary Tyler Moore Show' as the final entry in this month's showcase.